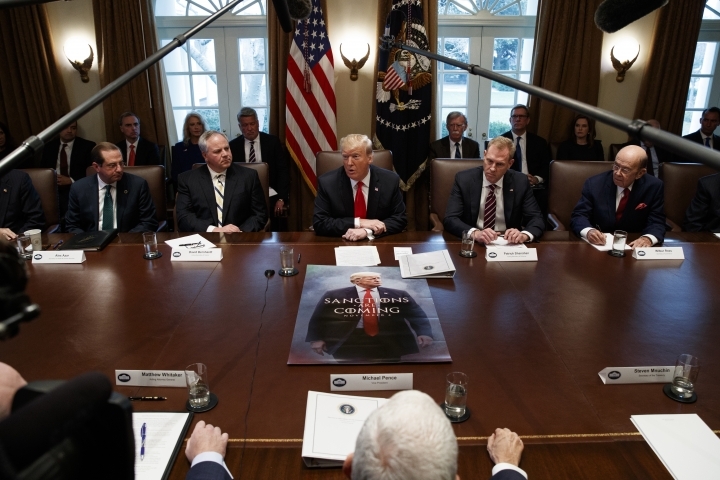 NEW YORK — Donald Trump declared himself "the most popular president in the history of the Republican Party" on Wednesday. Yet his allies fear a primary challenge from a high-profile Republican could doom his re-election. The concern was outlined in a private email shared among Republican National Committee members hours after the GOP's last failed presidential nominee, Mitt Romney, lashed out at Trump's character and global leadership in an opinion article published in The Washington Post. 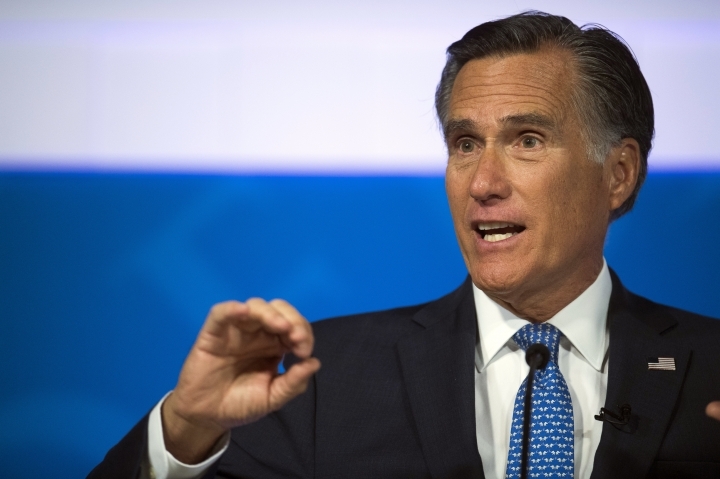 Romney is set to be sworn in as Utah's junior senator on Thursday. His scathing message was widely interpreted as a sign of encouragement for Republicans including outgoing Ohio Gov. 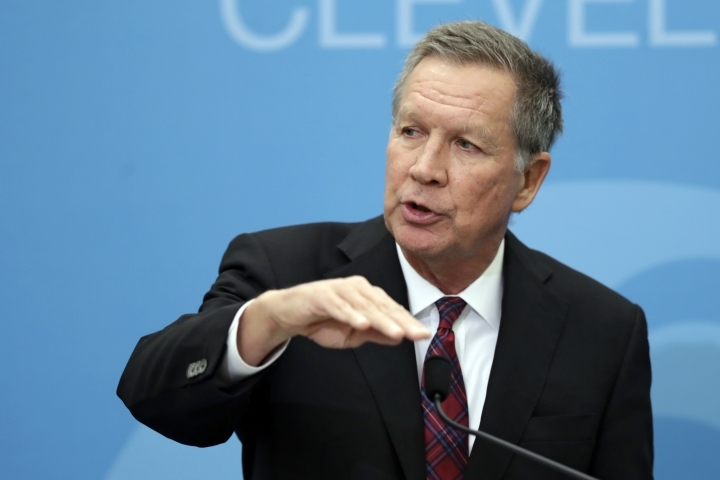 John Kasich and retiring Arizona Sen. Jeff Flake to take on Trump. While a successful primary challenge is highly unlikely given Trump's grip on the GOP base, some fear it would consume energy and resources badly needed by Trump, who is facing record-low approval ratings and signs of revolt among suburban voters. Win or lose, any primary challenge would almost certainly hurt Trump's re-election, warned RNC member Jevon Williams of the Virgin Islands. "Messrs. Romney, Flake, and Kasich will continue chasing their fantasy of being president, even if that means destroying our party and denying President Trump re-election," Williams wrote to fellow RNC members in a message obtained by The Associated Press. "Look, the political history is clear. No Republican president opposed for re-nomination has ever won re-election." Kasich was clearly encouraged by Romney's criticism of the president. "Welcome to the fray, @MittRomney," Kasich wrote in a Twitter post Wednesday sharing Romney's article. Kasich adviser John Weaver said it's been "awful lonely" for Kasich in recent years as one of the GOP's most vocal Trump critics. "It's not so lonely now," Weaver said. Still, little has come of recent discussions in South Carolina and New Hampshire, where local officials hoped to take steps to block potential Trump challengers. RNC officials now say the national GOP's rules cannot be changed before the 2020 national convention. Former RNC member Saul Anuzis of Michigan said Trump's team missed an opportunity. "Nobody wants a primary. It's not healthy for us," Anuzis said. "You'll have the Democrats attacking Trump and some Republicans attacking Trump. How does that help us?" "They say I am the most popular president in the history of the Republican Party," he told reporters. Gallup found late last month that just 39 percent of Americans approved of Trump's job performance, a mark lower than any president in either party at this point in his presidency since at least 1954. That said, 89 percent of Republicans approved of Trump's job performance. Trump's behavior could shift sharply in the second half of his first term as he prepares for the 2020 contest. That instinct would echo the president's double-down, scorched-earth response to the crises that hit his 2016 campaign, including the "Access Hollywood" tape about forcing himself on women, and could make it harder to woo the independent voters or disaffected Democrats he may well need. Most in Trump's orbit were not worried about Romney, but others worried that the new article, which was published to great buzz, was merely the opening salvo in coordinated effort by some Republicans to deny the president the party's nomination. "There is no concern or expectation at the RNC of a primary challenge for President Trump at all," said RNC member Bill Palatucci of New Jersey, a state where Republicans suffered painful losses in November. "There may be disagreements, but you express those disagreements in private. As difficult as a midterm cycle that we had, everybody still wants a Republican president and not Elizabeth Warren or Bernie Sanders." Romney himself insisted that his article was not intended to signal any interest in a third Republican presidential bid, but he declined to endorse Trump's re-election. "I haven't decided who I'm going to endorse in 2020," Romney said on CNN. He continued: "I'm not running again. We'll see if someone else does in a Republican primary or not. Time will tell."